Aston Villa will be looking to make it two wins in a row when they take on high-flying Derby County at Pride Park on Saturday. 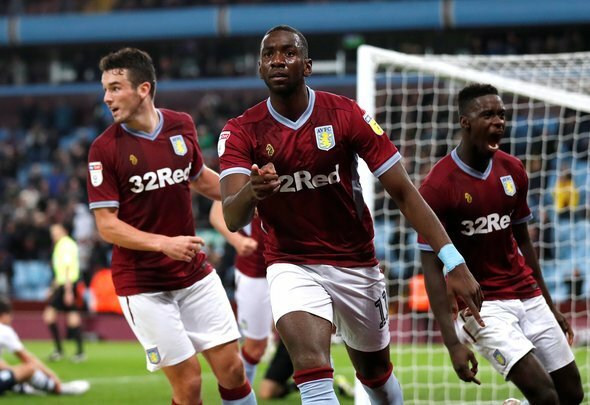 Dean Smith’s side are coming off a much-needed 2-0 victory over Bolton Wanderers last time out, but will face a far sterner examination against the Rams. Frank Lampard’s team have been in fine form so far this season and will fancy their chances at home, but Villa certainly have the talent to pose the hosts problem. The Villans boss would do well to keep changes to a minimum after that performance against the Trotters, with just Ahmed Elmohamady and Yannick Bolasie likely to come in for Albert Adomah and Jonathan Kodjia. Ørjan Nyland continues to struggle in goal but, with no real alternative, the shot-stopper will surely remain between the sticks on Saturday. Alan Hutton and Neil Taylor are firmly entrenched as the team’s starting full backs and will almost certainly continue in their respective roles. 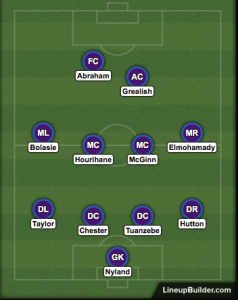 As mentioned above Elmohamady and Bolasie will likely come in after Adomah and Kodjia failed to fire against Bolton. Bolasie made a big impact off the bench against Bolton and deserves to start here. John McGinn and Conor Hourihane are a solid central midfield partnership and are unlikely to be changed for this one. Jack Grealish is the main man for Villa and is almost certain to start, playing off the frontman. Tammy Abraham will be expected to supply the firepower against Derby and will likely start once again.